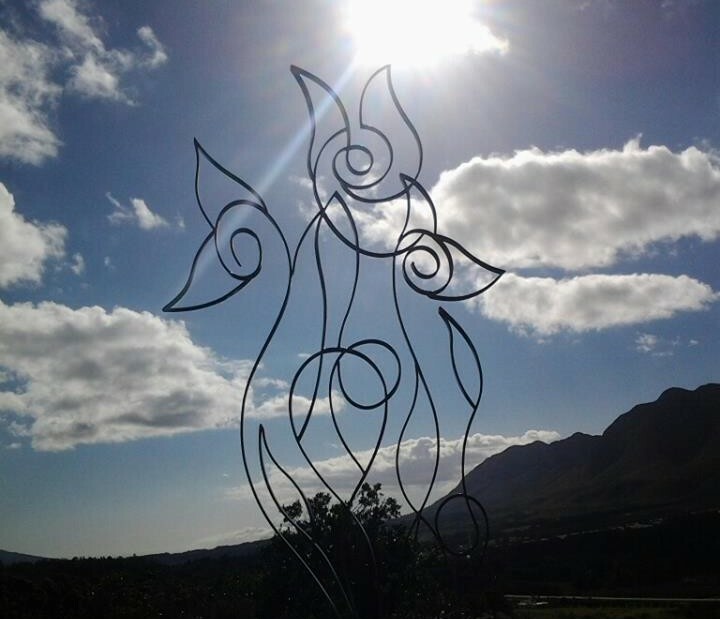 The Steeler, James Robertson, is a talented metal sculptor based in Hermanus. He creates all types of metal work for architectural applications like staircases and gates, decorative items like room dividers and chandeliers, as well as small and large sculptures for his own pleasure and on commission. James can bend steel into the most incredible shapes and his use of negative space is phenomenal.